When major world events occur, observers and analysts are often quick to jump to speculative conclusions – aided by the ever-presentist media – about the meaning of the event and its long-term ramifications for international politics. So, in December 2010, when a Tunisian street vendor called Mohamed Bouazizi self-immolated and sparked (sorry for the cheap pun) the so-called “Arab Spring,” quickly leading to the ouster of ossified autocrats in Tunisia, Egypt, Yemen and Libya, there was an unsurprising glut of punditry offering what would ultimately amount to be a false prescience. While the shortsighted lauded the “birth” of democracy in the Arab world, more circumspect observers thought otherwise, asserting that any change in the political trajectory of the region would ultimately need to be measured in decades, not months or years. Lo and behold, four years later, the region has devolved into a quagmire of sectarian violence and authoritarianism. It’s either savage anomie (Iraq, Syria, Yemen, Libya) or authoritarian retrenchment (Egypt, the Gulf States) in most Arab states today. Tunisia on the other hand, aiding the media’s fondness for tidy narratives, has remained relatively stable and secure. The Arab state that catalyzed the “Arab Spring” may now be the only region’s democratic success story (the tidy narrative says). Following legislative elections in late October, Tunisians returned to the polls on November 23 for the first direct election of a president in the country’s history. 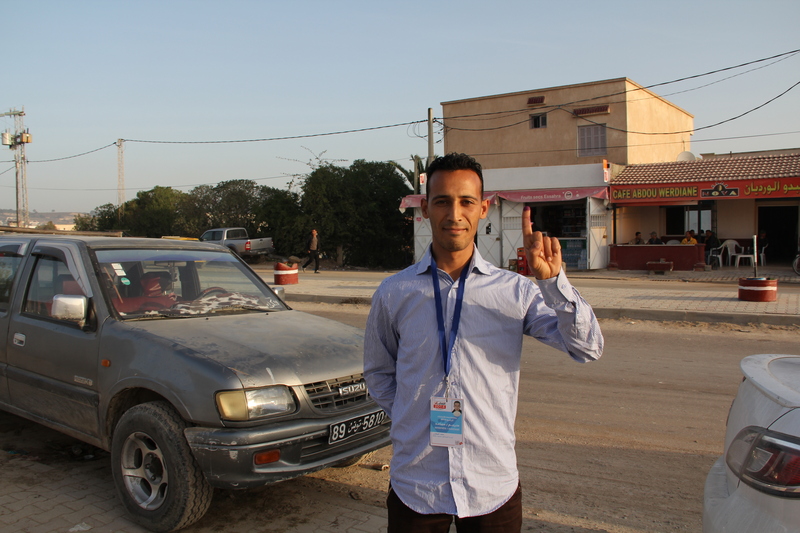 I went to Tunisia to cover the election. I was most struck by the desire for stability and economic certainty among Tunisians of all stripes, not a democratic, revolutionary fervor. How much of a democratic success can Tunisia be if three years after the fall of Ben Ali, Tunisians are longing for a return of the (sort of) ancien regime? On the Friday before the election, onlookers watch as competing political rallies take place on Avenue de Bourguiba in downtown Tunis. Bouazazi’s self-immolation came from a place of desperation, which I suppose goes without saying to a certain extent. 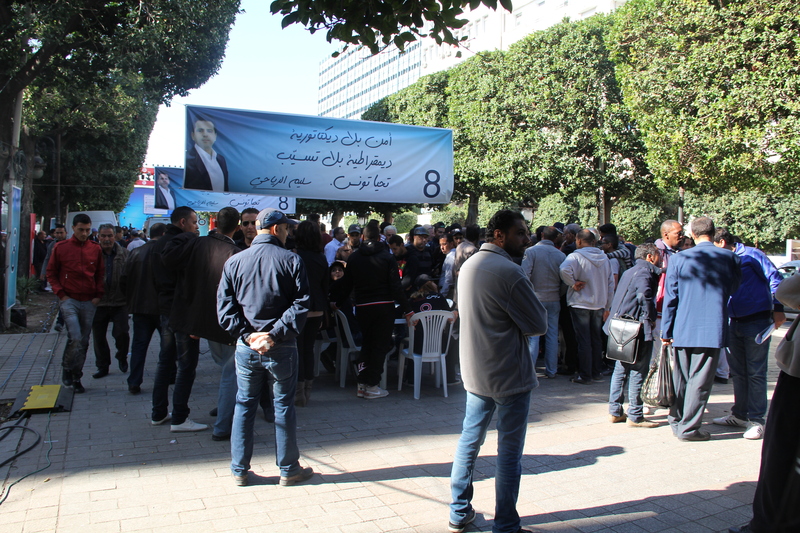 While corrupt members of President Zine El Abidine Ben Ali’s family and regime lived lavish lifestyles, Bouazazi could not afford the bribes municipal officers in Sidi Bouzid demanded to allow him to operate his fruit stand and support his family. Before the revolution, Tunisia, which has a well-educated population, was largely considered an economic success story. Yet, there was clearly a strong undercurrent of discontent with the Ben Ali regime. Bouazizi’s self-immolation happened on December 17, 2010. Less than a month later, on January 14, 2011, Ben Ali absconded to Saudi Arabia as the first dictator casualty of the Arab uprisings. Despite the country’s comparative economic success, rising rates of college-graduate unemployment, the pronounced and predatory corruption of the regime, and economic and political disenfranchisement led to the down fall of Ben Ali and his party, the Democratic Constitutional Rally, known by its French acronym RCD. Ennahda was also perceived to be weak on more hardline Islamists groups, which were increasingly attacking the Tunisian police and army. Indeed, the space for extremists grew to such a point that Tunisians make up the largest contingent of foreign fighters that have joined ISIS in Iraq and Syria. Tunisian society is notoriously rather secular, at least for the region, so Ennahda has long held a more moderate orientation than, say, the Muslim Brotherhood in Egypt. Like so many authoritarians in the region, Ben Ali suppressed Islamist groups to provide security, or so he claimed. Ennahda was careful to not implement any policy redolent of Ben Ali; not to mention, more conservative members of Ennahda have common ideological points of agreement with some Salafists. This “pacifist” policy against Salafi groups would not stand long and, I would argue, is one of the reasons Tunisians have turned to members of the old guard. In July of 2014, as Tunisians celebrated their 56th year of independence, a leftist politician named Mohamed Brahmi was assassinated. A few months prior, in February of that year, the assassination of another secular politician named Chokri Belaid, led to the resignation of Ennahda Prime Minister Hamadi Jebali. After Brahmi’s killing, the opposition in the NCA pressured Ennahda to resign, which it eventually did after a lengthy period of negotiations and receiving assurances that the political parties would finish writing the new constitution, set a date for elections and appoint an independent election commission. In late January of this year, the NCA completed its work on the constitution when it was officially adopted on January 26 of this year. The constitution was largely hailed as the most progressive in the region and praised for the inclusive drafting process; of course, that doesn’t mean it’s without a few problems. That cursory run-through of Tunisia’s transition sets the scene for my trip to report on the November 23 presidential election. Despite having just made it to the polls a month ago to elect the country’s new parliament, the Assembly of the Representatives of the People – not to mention the protracted transition process – Tunis, the county’s capital city, was abuzz in all things political. Campaign posters for the 27 candidates on the ballot were pervasive. 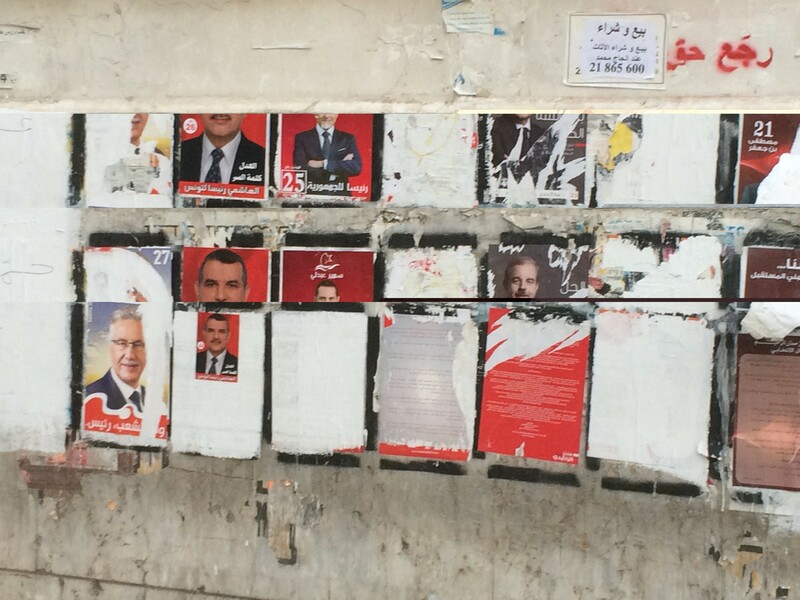 The election commission’s billboards imploring Tunisians to vote were almost as ubiquitous. 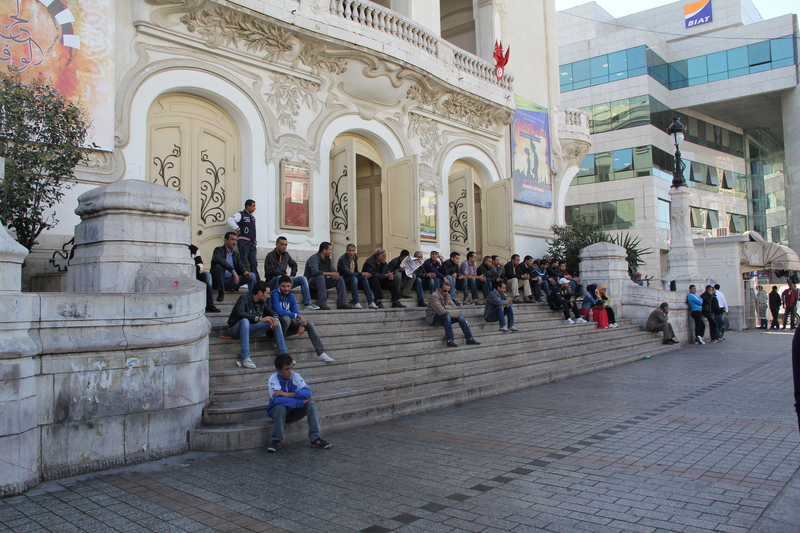 Most of the people I spoke with were quick to share their views on the candidates and on their hopes for Tunisia. After the thoroughly disappointing U.S. midterm election, which saw 36% turnout, it was refreshing to see the meaning and importance Tunisians placed on the vote. Supporters of presidential candidate Slim Riahi gather for a rally in the center of Tunis. A patchwork secular coalition of former RCD apparatchiks, leftists, labor leaders, and liberals called Nidaa Tounes won the October 26 election, swiping 85 seats in the 217-seat ARP. Octogenarian Beji Caid Essebsi, who was prime minster from February to December in 2012, founded Nida Tounes and was their presidential candidate for the November election. After dozens of conversations in Tunis, Essebsi’s name kept coming up as the candidate of choice because of his experience and competency. His main challenger, incumbent President Moncef Marzouki has been rather incompetent, and is linked to the failed governance experience of the last three years. Essebsi does, however, have one rather big blight on his record: he was a member of Ben Ali’s RCD and served as foreign minister for the regime from 1981-1986. Ennahda has been shrewd in its efforts (not running or endorsing a presidential candidate in 2014, for example) to avoid the perception that is seeking to dominate Tunisian political life, careful to avoid anything like what happened with the Muslim Brotherhood in Egypt. Although there was a heated internal debate within Ennahda, the party ultimately voted against banning ex-RCD members from political life. In fact, some ex-RCD members who recently were released from jail ran as candidates in the legislative election. There’s been a limited effort in many ways to seek transitional justice. Yet, the legislative elections and the result of the first-round presidential election – Essebsi won 39% of the vote in the first round against Marzouki, who won 33%, and the two face off on in a run-off vote today – show that this does not matter to many Tunisians. First and foremost, they want parties and officials who can govern, and economic stability and security. What does this say about Tunisian democracy? While many Tunisians told me they preferred Essebsi and Nidaa Tounnes, a little probing revealed that many were just employing the “better of two evils” approach. One young Tunisian women named Ameni from the volatile, western governorate of Kasserine, told me that she would vote for Essebsi because he was going to win anyway and would improve the security situation in the country. Ameni, however, prefers Ennahda and their moderate position on the role of Islam in society. Others expressed their profound distaste with Ennahda, both from a policy perspective and in a broader, existential sense. Ziad, a cab driver from the coastal city of Ariana, told me that Tunisia was a secular society and exclaimed that he didn’t want Salafis (every time he said the word “Salafi,” the clean-shaven Ziad would pretend to stroke a long beard) running the country. He told me that while the incumbent president was a “double zero” Ennahda was a “triple zero.” In general, however, most of the conversations I had with Tunisians focused on the governing capacity and experience of Essebsi and Nidaa Tounnes. It’s not simply the strong showing of Nidaa Tounnes or the support for Essebsi that portends poorly for democracy in Tunisia. A recent Pew polls demonstrates that young Tunisians, who were the vanguard of the revolution, are generally less favorable towards democracy. Indeed, the same Pew poll evidences a growing preference for a leader “with a strong hand” (58%) in contrast with a democratic form of government (38%). As mentioned above, poor economic conditions were a major driver of the discontent that led to the overthrow of the regime. As the post-revolution economy has floundered, the government agreed to a $1.78 billion dollar loan program with the International Monetary Fund, which, inter alia, calls for a 16 percent reduction in public subsidies. Discontent with reduced government services could lead to heightened instability. With Nida Tounnes in control of parliament, and the potential of a former RCD official as president, it’s fair to question how the new government would respond to protests or further instability. After the legislative elections, Secretary of State Kerry said the vote was an example of “why Tunisia remains a beacon of hope, not only to the Tunisian people, but to the region and the world.” And, to be fair, when comparing Tunisia to Syria or Egypt there is reason to be hopeful. Overall, Tunisian politicians have demonstrated a remarkable level of political maturity during the transition. Yet, as Steven Heydemann, a political scientist at the U.S. Institute of Peace, recently suggested when discussing the Arab uprisings four years out, “market-oriented models of authoritarian governance are seen as viable alternatives.” Is this the future that Nida Tounnes has in mind for Tunisia? Looking at the legacy of its ex-RCD members, it wouldn’t be all that surprising to see something along these lines implemented in Tunisia. With that said, I think there is reason to be hopeful about democracy in Tunisia. On November 23, I went to polling stations across the country and witnessed the professional and efficient conduct of the election. I also spoke with officials from the Independent High Authority for Elections (ISIE) who had a clear commitment to free, fair, credible and inclusive elections. 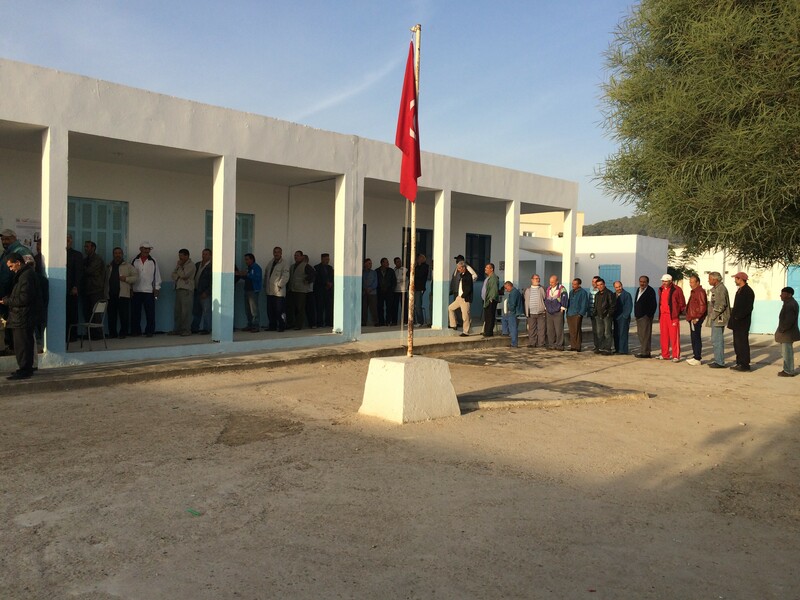 At polling stations throughout Tunisia, domestic observer groups ensured that no tampering took place. The ISIE has also established a tradition of transparency with Media Centers that demonstrate a clear commitment to providing the media and the public with accurate, up-to-date information. In the face of so much regional turmoil, the desire for stability is not surprising. In many ways, the support for Nida Tounnes strikes me as nothing more than the ebb and flow of politics. The opposition is often the preferred alternative; look at American midterm elections. 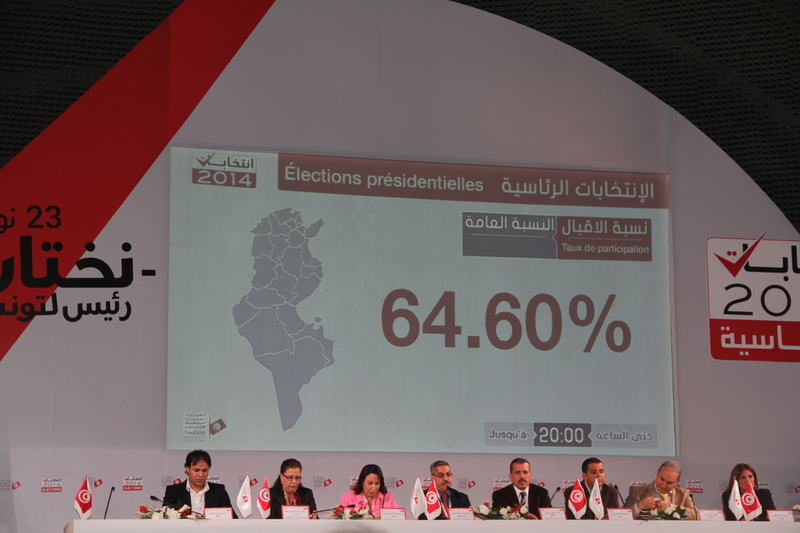 At the Media Center of Tunisia’s election commission, officials announced voter turnout figures on election night. Democracy is not an endpoint, it’s an ever-evolving process. 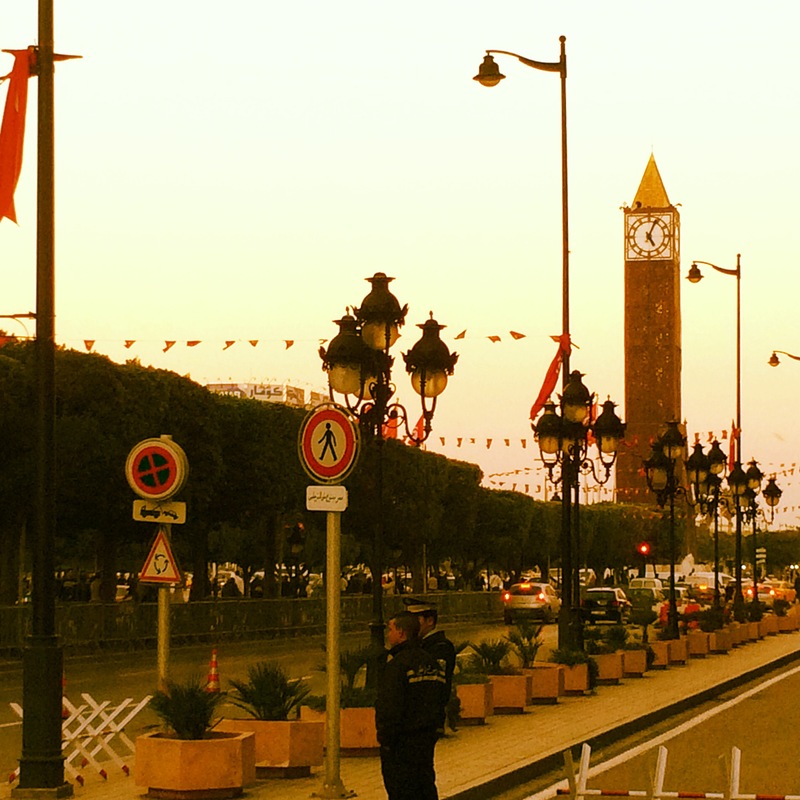 While the return of members of the Ben Ali regime has rightly caused suspicion regarding democratic consolidation in Tunisia, there are still many reasons to be hopeful. These next years will be critical to Tunisia’s democratic success. Regardless of what the media narrative suggests after this election, continued caution will undoubtedly be the best course of action moving forward. And, despite my aversion for those tidy media narratives, Tunisia remains the best hope for democracy in the Arab world regardless of the results of the run-off presidential election. Adam E. Gallagher is an independent media analyst and Tropics of Meta’s Middle East correspondent.